If you have been waiting for an annual passport that would allow access to both Disney theme parks in the United States, wait no longer. Disney now offers a new premium annual pass for admission to the parks at both Disneyland Resort and the Walt Disney World Resort called “Disney Premier Passport.” It’ll feature the same benefits offered with the “premium” annual passes for Disneyland and Walt Disney World Resorts and will sell for $700. Features for each park are listed below. Unlimited admission for a period of one year to all four Walt Disney World Theme Parks, including the ability to visit multiple parks on the same day. Unlimited admission to Disney’s Typhoon Lagoon and Blizzard Beach Water Parks. Unlimited admission to DisneyQuest Indoor Interactive Theme Park, ESPN Wide World of Sports Complex and Disney’s Oak Trail Golf Course. Parking at all four Theme Parks. Subscription to Mickey Monitor, a collectible Passholder-only publication. Unlimited admission to both Disneyland and Disney’s California Adventure Parks for a period of one year, including the ability to visit multiple parks on the same day. Parking at any pay-on-entry parking lot. Complimentary subscription to Disney’s Family Fun Magazine (one per household). For those who are already holding a Premium Annual Pass for both Resorts, they will automatically be issued a “Disney Premier Passport” – with an expiration date based on the later of the two annual passes. 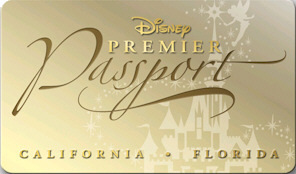 You may also upgrade your annual or seasonal pass for one resort to a “Disney Premier Passport” for an additional fee.